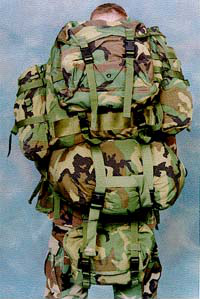 The Modular Lightweight Load-carrying Equipment (MOLLE) was designed to replace the All-purpose Lightweight Individual Carrying Equipment (ALICE) and Integrated Individual Fighting System (IIFS). 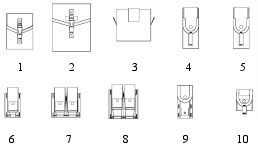 The Interlocking Attachment System is used to attach pockets to the vest, packs, and waist belt. Issued as a utility pocket regardless of duty position.